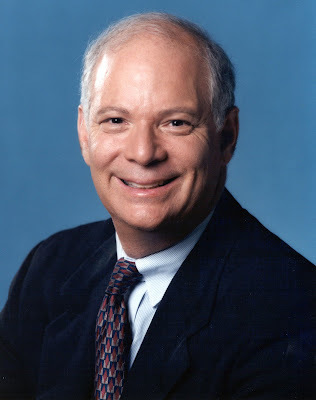 Baltimore, MD—Career Democratic politician Senator Benjamin Cardin has introduced a bill to save newspapers called the, Newspaper Revitalization Act. Never mind that Americans are less literate than ever and advertisers and readers have been rejecting this form of media in favor of other news sources for the last two decades. The days of when only rich men or syndicates could own the huge machinery and infrastructure required for printing newspapers or broadcasting are over. It’s possible today to publish a multimedia blog with equipment that costs less than $5000.00. It’s possible to publish worldwide using publically owned computers at your own local library. They call this form of publishing the New Media. Everyone has the largest news stand on earth at their fingertips today. Every newspaper employee from the delivery boy up to the publisher if facing a hard cold fact, they are obsolete. Live video broadcasts today are cheap and simple to deliver and are giving journalists big and small equal footing with established television broadcast networks. Whether all of us like it or not this is progress and new technology as was the cotton gin and the horseless carriage. Instead of letting free enterprise work and displaced workers adapt to a new marketplace, Senator Cardin’s answer is to throw our tax money on this bonfire. Please don’t let me forget Senator Cardin’s plan also carries with it a muzzle precluding the traditional political endorsements newspapers are known for. In addition to interference in private enterprise comes an unconstitutional provision to curb free speech. It’s so sad that a monumental jerk like Senator Benjamin Cardin can propose this garbage with a straight face. This Communist plan is as wrong and un-American as he is. Please Senator Cardin, let the newspapers die with dignity. I agree about letting the newspapers follow the comercial path. Supporting businesses that cannot support themselves is pathetic. A short term loan to get through a tough spot is not a bad deal but the government just doesn't seem to know when to quit. Failure in one part of our economic system allows another part to flourish.